Demographic surveys are probably the most important and the most tiresome as well as hectic surveys. 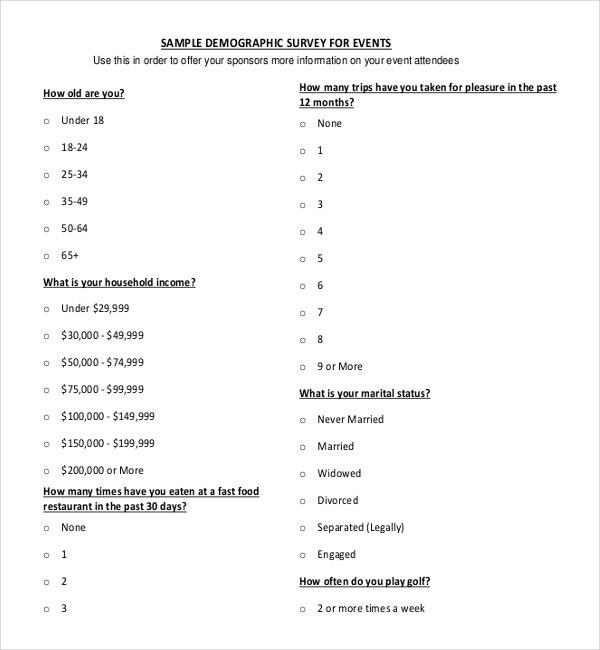 These surveys include a lot of complications and a lot of minute details need to be filled out in the survey forms with precision. 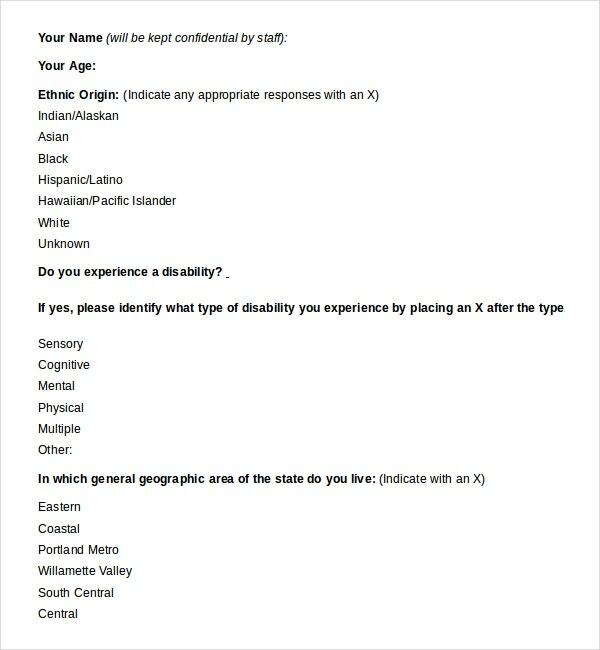 These details may generally include sections that question about the various age groups or various genders of people. 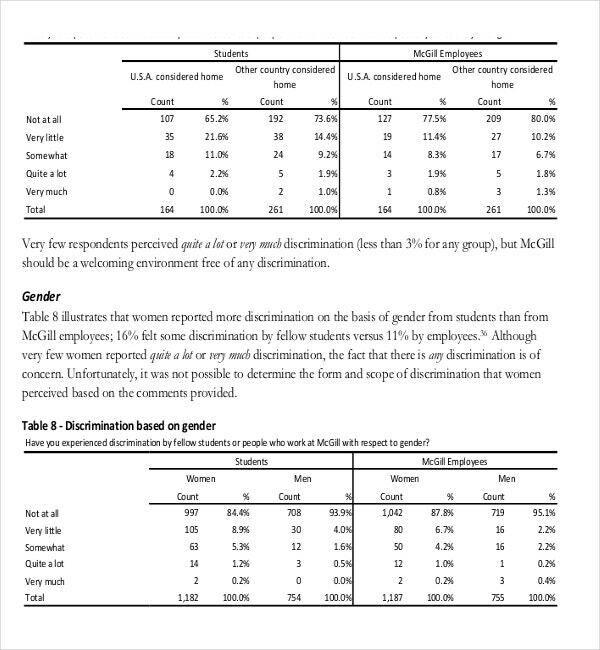 You may also see Survey Report Template. 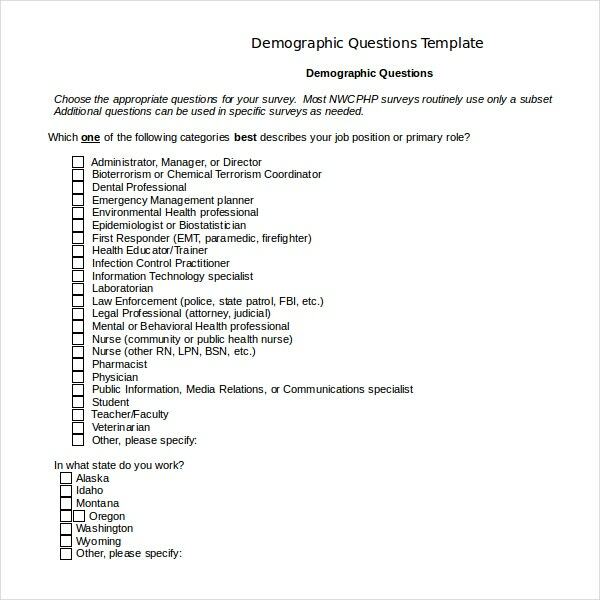 For these reasons these forms need to be very well designed so that they are apt and at the same time detailed enough.This site provides you some really good demographic survey templates in these regards. 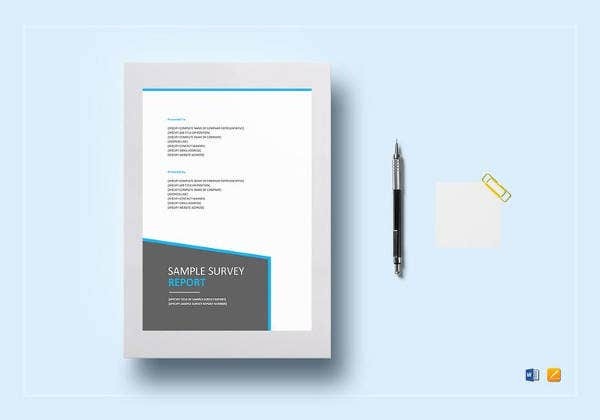 The Survey Templates have been designed in such a manner that they are very optimum in their content and therefore are very useful and helpful. 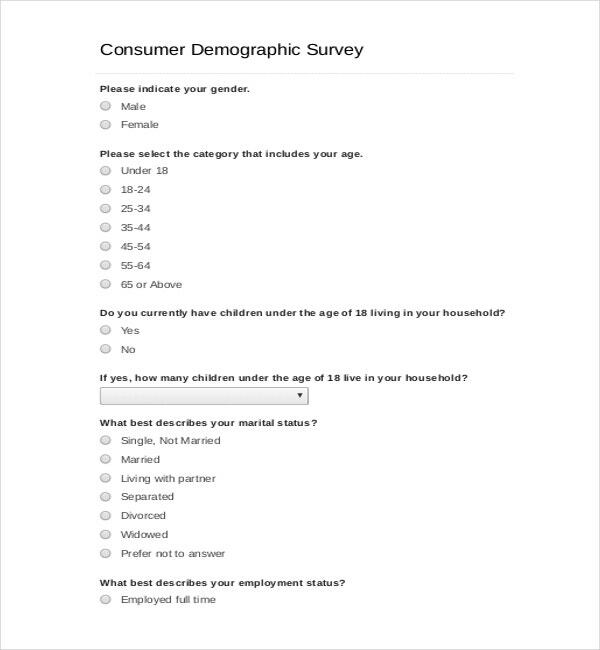 Shopping survey templates commonly include questions such as whether the respondent does his or her shopping in the stores or online, whether the respondent prefers discount stores or grocery stores, how the respondent pays for the shopping etc. These questions are designed to know the shopping preference of a particular population. The companies or individuals who maintain a website dedicated to various purposes can conduct a survey of the online users to get a better understanding of their performance and analyse methods to improve the website. 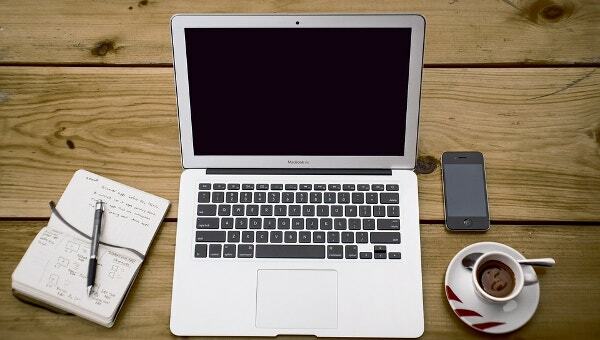 The common questions that the respondent needs to answer include the frequency of their visits to the particular website, rating the overall content of the website, overall look of the websites, the information on the website etc. For companies who are running a business, targeting profitable market segments is an important factor. 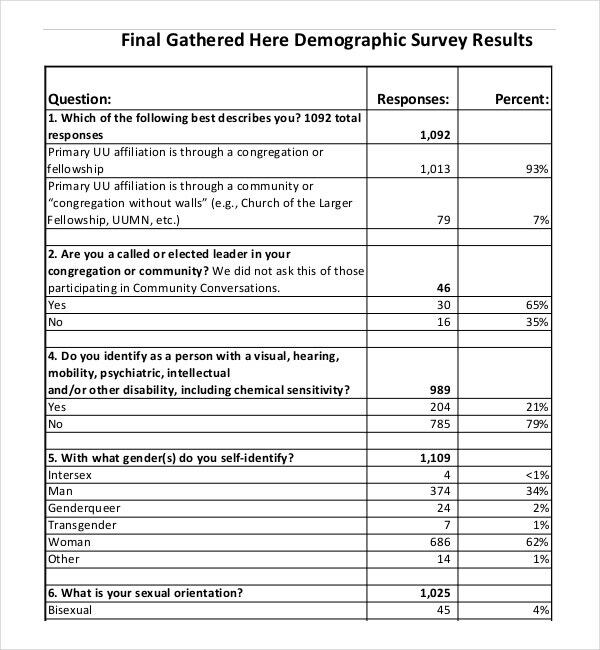 There are some common demographic questions available in many Feedback Survey Template that have been designed by experts which seek to find unique groups, trends in their behavior etc. This helps the companies determine more efficient ways to target them. It is important to know the response of various age groups to the product that the company manufactures. 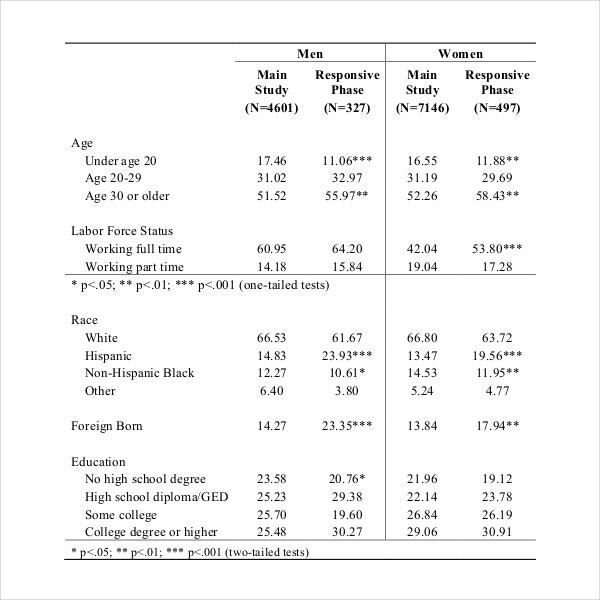 The age question also depends upon the respondents and the type of survey. 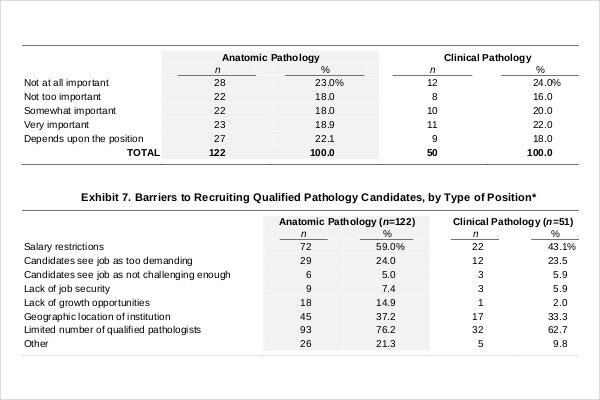 The respondents can be classified according to academic qualification which often reveals unique trends in the responses to the product. For example, it can be revealed through the survey that the school drop outs are more likely to love the product that the company markets as compared to college graduates. The companies can this way get an idea to target a specific group of customers. It is important for the companies to know whether their product caters to the needs of a part of the population with a certain pay grade, experience level etc. The companies do not want to lose business by catering to the section of population who are not interested in their product. 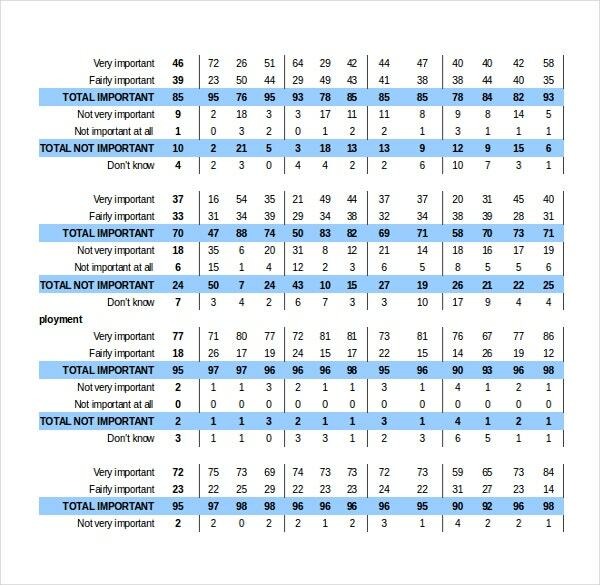 This is the reason why companies ask question related to Employee Survey Template. The users can easily download a plethora of demographic templates from a score of websites.